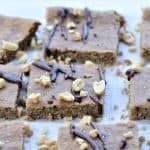 Peanut Butter Banana Squares-delicious vegan, gf snack! 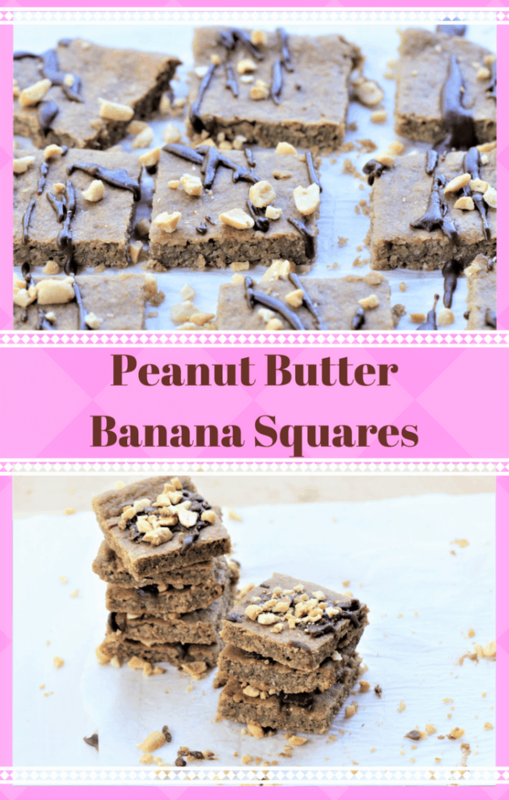 Peanut Butter Banana Squares. 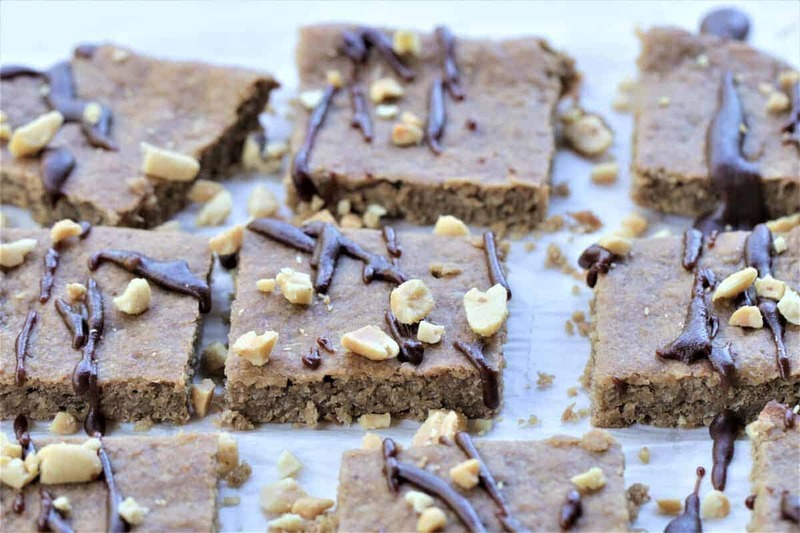 These squares are full of flavor, good for you ingredients, with no added refined sugar. They are ready in forty minutes and are perfect for a snack, dessert or on the go. Vegan, gluten free and dairy free. 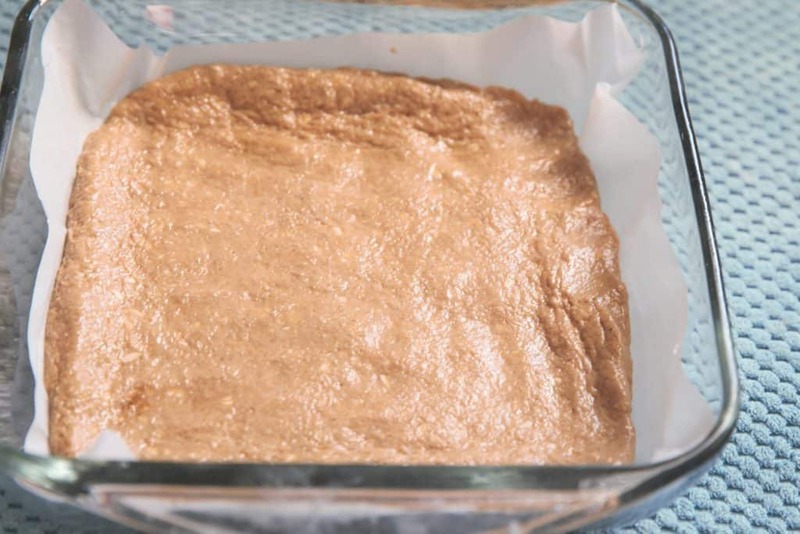 Spread mixture in 9x9 pan lined with parchment paper. Bake at 375 degrees for 30 minutes. Drizzle chocolate glaze on squares. Sprinkle crushed peanuts on top. Mix all ingredients in small bowl. Stir until smooth, adding almond/soy milk as needed. 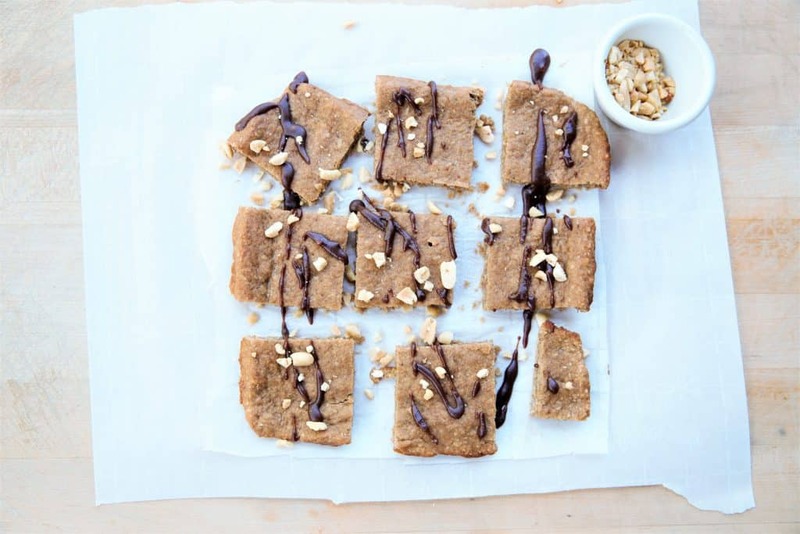 Drizzle on peanut butter banana squares. Sprinkle crushed peanuts on top.